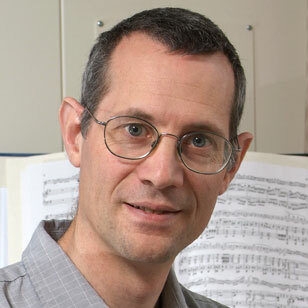 Christopher Raphael heads the Music Informatics program in the School of Informatics, Computing, and Engineering at Indiana University, as well as holding adjunct appointments in the Jacobs School of Music, Cognitive Science, and Statistics. After receiving his PhD in Applied Mathematics from Brown University in 1991, he worked on a wide range of problems in both industry and academia including Arabic character recognition, magnetic resonance spectroscopy and mine detection before coming to focus on music. His musical research includes accompaniment systems, computer generated musical analysis, musical signal processing, and modeling of musical interpretation. Find out more about Christopher Raphael’s recent research.